A team of knowledgeable and reputable SeaTac criminal defense lawyers. If you or a loved one has been suspected of committing a crime, you should know that accepting the charges against you is not the only option available to you. A SeaTac criminal attorney from the Law Offices of Jason S. Newcombe can help build you a defense that can have the charges against you reduced or even dropped to take you back to your normal life. We know how you are feeling, and we know how upsetting it is for you and your family that you have been charged with a crime. Our team of skilled and knowledgeable SeaTac criminal defense attorneys is here to help you through this challenging time without judging you and with complete respect. 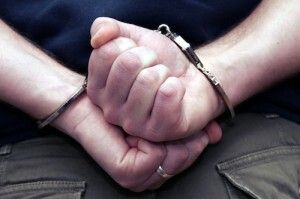 Why Hire a SeaTac Criminal Lawyer? If you are suspected of being involved in a crime, it is vital to consult with a criminal defense attorney as soon as possible - and certainly before speaking to the police. As an accused party, the constitution of the State of Washington entitles you to the right to consult with your attorney before and during questioning by law enforcement. This prevents you from saying anything that could potentially cause you to appear guilty. You are also entitled to have your lawyer present during all portions of your trial, and our SeaTac criminal defense lawyers are ready to help you with all paperwork and explain anything you may be unsure about regarding your case to you to make sure that you understand the charges against you and how best to fight them. We take a team approach to your case, and our legal team knows the right method for building a winning defense for our clients. Our meticulous SeaTac criminal defense lawyers will review every aspect of your case to make sure that all evidence was gathered in full accordance with the law and to ensure that law enforcement officials have followed all regulation in regards to your case. Per our years of experience in Washington State, we are also familiar with the judges and prosecutors who will be handling your case in the courts. We believe that everyone deserves a good defense. Our low flat rate fees and affordable payment plans mean that our services are available to anyone in need of a SeaTac criminal defense lawyer. Call us or contact us online to learn how we can help you.